Purdue University researchers, in collaboration with engineers from the University of California, Riverside, have identified a naturally occurring design strategy that gives certain animals unparalleled structural strength. In papers published in the Journal of the Mechanical Behavior of Biomedical Materials and the International Journal of Solids and Structures, the research team focused on the composition of the mantis shrimp’s “dactyl club”. Their studies found that the remarkable resilience of this appendage is attributable to its uniquely spiraled layers of chitin, an organic material found in many animal exoskeletons. The design is one that the team hopes to apply in manufactured materials to approximate the level of strength seen in nature. The bulk of the bioengineers’ research concentrated on the mantis shrimp, which possesses what is perhaps the most remarkable predatory tool in nature. The small crustacean uses a tail-like appendage, termed a dactyl club, to hammer its prey into oblivion. The club itself, researchers reasoned, must be incredibly resistant to repeated heavy impact. 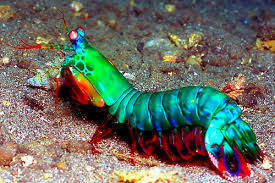 After all, each strike the mantis shrimp delivers travels at the speed of a .22 caliber rifle bullet. The mantis shrimp is built to sustain high impact on an ongoing basis. The secret to the dactyl club’s uncommon resilience is its helicoidal design, which distributes microfractures that develop in the limb evenly among twisting fibers of chitin. This one-of-a-kind mechanism actually strengthens the dactyl club as the cracks progress along its fibers. As the crack itself is distributed throughout one strand of chitin, the pressure actually comes off the appendage as a whole. This design is what prevents a “catastrophic” structural limb failure, according to the scientists. The toughness of the mantis shrimp’s dactyl club is easy to chalk up to its distinct composition—the more beatings it takes, the less likely it is to sustain irreparable harm. This new perspective on this naturally occurring phenomenon could be used in manufacturing going forward. As part of their study, the engineers 3D printed composite materials that mimicked the dactyl club’s helicoidal structure and observed how cracks followed a twisting pattern—just as they do in the case of the shrimp. In the future, the team anticipates applying these lessons to how composites are manufactured at scale. The potential for widespread implementation of stronger and more resilient materials could be too great to ignore. For more on how the natural world is inspiring human advances, check out this article on how engineers are bringing animal kinetics to robotics.